The new Radeon™ RX 500 series cards from AMD boasts 2nd generation refined Polaris architecture, higher clock speeds and an improved cooling system. 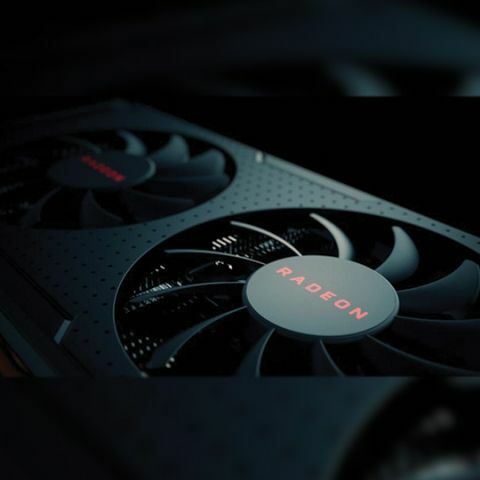 AMD unveils their new Radeon™ RX 550, RX 560, RX 570 and RX 580 graphics cards with refined 2nd generation Polaris architecture, better optimization for DirectX 12 and Vulkan gaming, improved cooling controllers, and higher clock speeds. AMD introduces the Radeon™ RX 500 series, a new line of graphics cards featuring a powerful combination of improved game performance, higher clock speeds, and a refined 2nd generation Polaris architecture, giving PC gamers the best reasons yet to upgrade their graphics. “Radeon RX 500 series was built on the promise that PC gaming isn’t an elite club - that all gamers can enjoy the most advanced graphics technologies. Our launch today of the Radeon RX 500 series doubles down on that effort. With higher clock speeds, revolutionary gameplay capture software, latency-reduction technology, aggressive Day 0 driver support, open and affordable standards like Radeon FreeSync, and innovative features like Radeon Chill, we know gamers who have been patiently waiting to upgrade will have more than enough reasons to now,” said Scott Herkelman, corporate vice president and general manager, Radeon Technologies Group. Radeon RX 580 and 570 graphics cards from major AIB partners are available from retailers and etailers around the world starting today*, and the Radeon RX 550 graphics card is expected to be available April 20th. Radeon RX 560 graphics cards are planned for release in early May. For more information on where to buy, click here.